Last Sunday was my birthday. Time for presents. As the weather was really nice, I went with my mum and Geert to a small nature development area nearby. Just for a bit of a walk and take a few pictures. 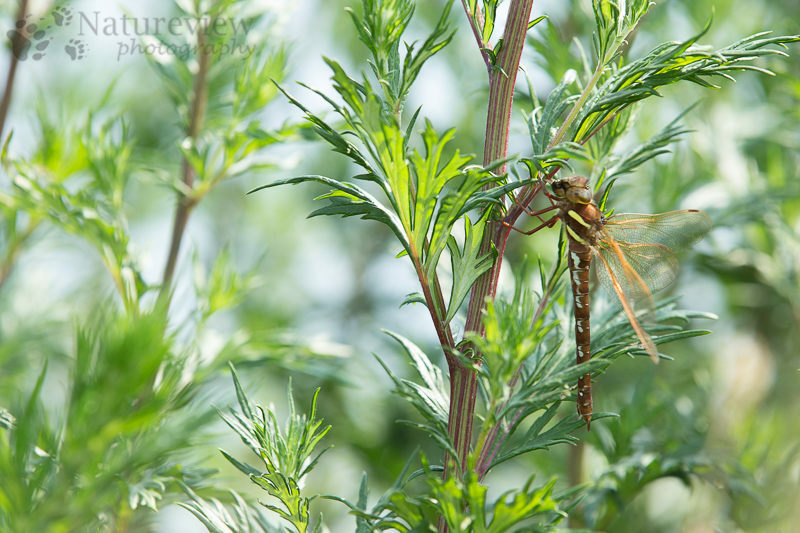 I didn’t expect much, until a Brown Hawker flew by and landed in some vegetation nearby. Normally Brown Hawkers are notoriously difficult to photograph because they’re either hunting or resting high in the trees. This area, the Onlanden, however hardly has any trees, so they have to sit in the lower vegetation. As she had just caught something to eat, she was occupied and didn’t really mind our presence. It was a bit difficult to get a really good angle, but I’m still pleased with this image of this difficult to get species. It was also a nice opportunity to try my other present, a GPS-receiver I can use with my camera. This way the exact location of my images is registered, which is nice in remote locations like Antarctica or Spitsbergen. Really looking forward to using it this year in both locations.